Blue Rose Epics | Entertainment: Wild at Heart (1990) New Official U.S. Collector's Edition Blu-Ray! 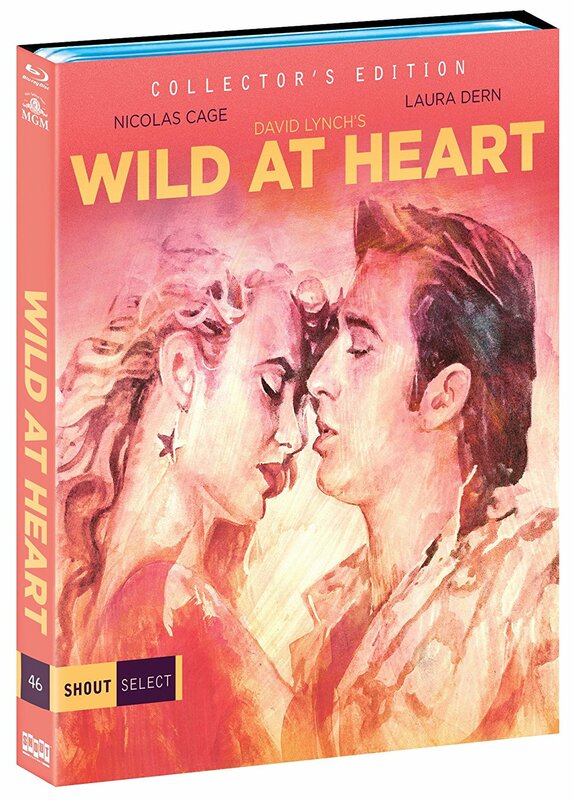 Wild at Heart (1990) New Official U.S. Collector's Edition Blu-Ray! Probably the David Lynch film that benefits the most from a big, beautiful screen presentation, this upcoming May 22, 2018, Wild at Heart (1990) will finally receive a solid and official U.S. Blu-Ray release as a Shout Select title. 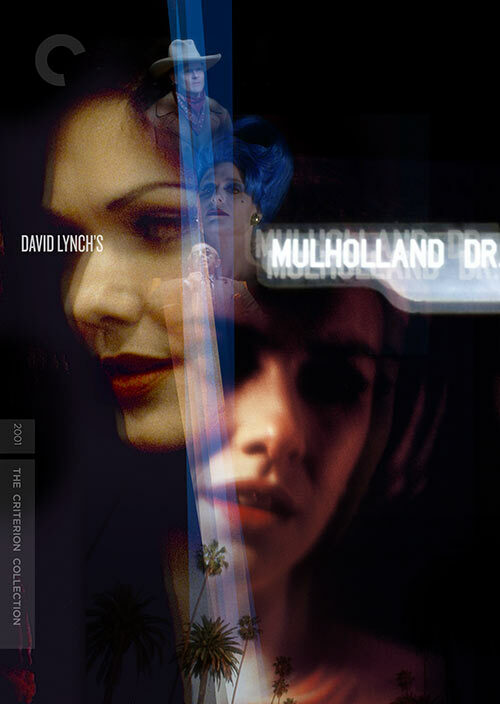 The video apparently comes straight from the HD master approved by David Lynch originally for his Lime Green DVD Set, but this time presented in its full HD resolution. Speaking of the limited edition Lime Green Set, this new Collector's Edition Blu-Ray is the first time, I am aware of, that the 76 minutes in Wild at Heart extended and deleted scenes produced by David Lynch originally for that set have finally been released elsewhere. This is a huge and rare special feature practically worth the cost of this edition itself. Although it is not particularly clear whether this footage will also be made available in HD, there is a good chance it will at least be comparable to its peak DVD resolution from the original Lime Green Set. It is a little unfortunate that Shout Select did not take this opportunity to master the film all over again in 4K and present it also as an Ultra-High Definition disc release, too. If done like that, they could always down-rez it to HD for a better overall image, too. But as Special Features go, I believe this Collector's Edition has gathered together all the old featurettes and interviews from former releases plus added a completely new interview with the original book's author Barry Gifford! Such a UHD/HD release also would be up to par for most theatrical digital projector systems today, making it far easier for movie theaters to conduct new screenings of Wild at Heart (1990). As is, movie theaters for now have to find old 35mm prints of the film and project them on older reel to reel projector systems, which are becoming rarer and rarer to find these days in theaters. 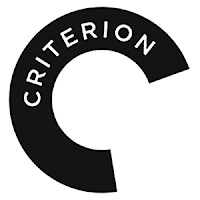 But perhaps one day the Criterion Collection will extend its largesse toward such a worthy endeavor and make a higher resolution master in the future. They have done similar projects for Eraserhead (1977), Twin Peaks: Fire Walk with Me (1992), and Mulholland Dr. (2001). 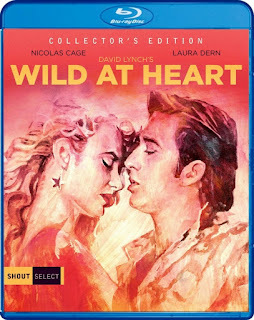 It is hard to imagine Criterion not making similar artistically minded releases for all of David Lynch's films at some point, but until then, this Collector's Edition Blu-Ray is likely to be the gold standard of Wild at Heart (1990) on U.S. home video for the next decade to come. I have touched on this film in much more detail on my former blog post and at further length in my book 40 Years of David Lynch: Volume I. 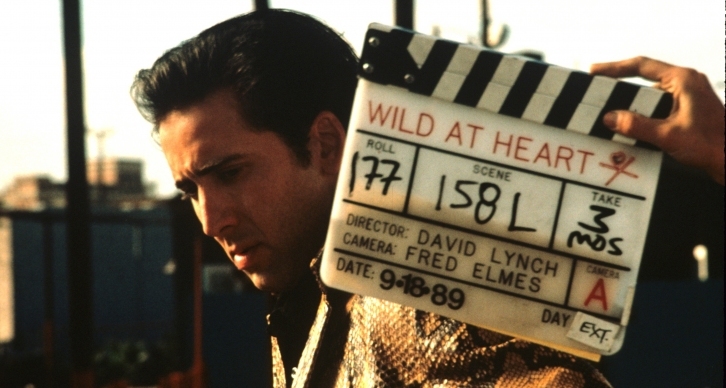 To this day, Wild at Heart remains one of David Lynch's most artistically raw film experiences. It is pulpy, violent, disturbing, yet strangely hopeful, and at its core, a passionate romance you find yourself rooting for more and more as the film goes along. 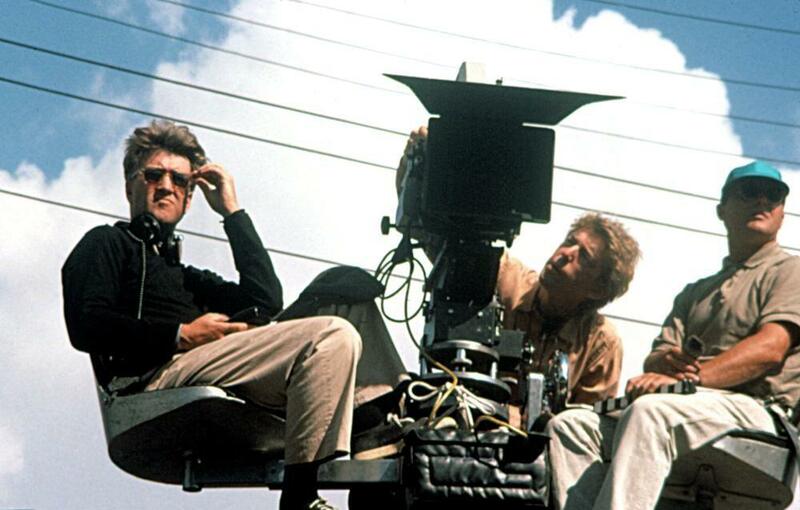 Wild at Heart was the first and only David Lynch movie to win the Cannes Film Festival's top prize, the Palme d'Or, and in my opinion, it benefits greatly from a big, loud screening with an audience. It is kind of the rock concert equivalent of a movie. So blast up the volume and let the images envelop you in the dark. This is some of the Lynchiest Lynch you will ever Lynch. 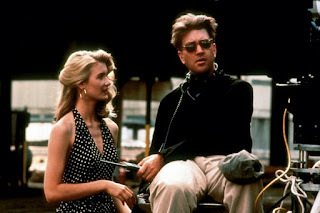 If Wild at Heart (1990) was not bouncing around Quentin Tarantino's subconscious headspace when he wrote Pulp Fiction (1994), then I do not know what else could have been. 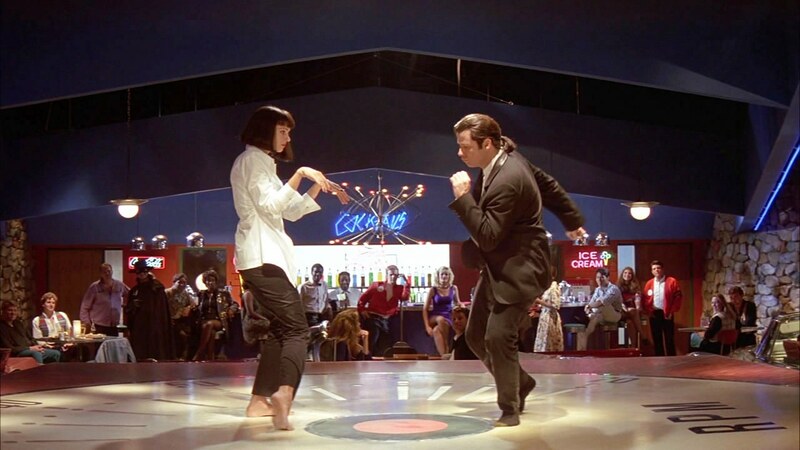 The dark humor in this film must have inspired Tarantino's fledgling filmmaker mind as he wrote his own intertwining vignettes about America's underbelly. 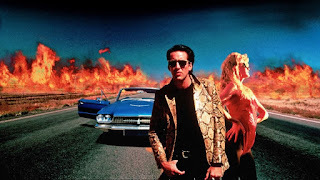 But more than that, Wild at Heart (1990) is a rock and roll ode to youth culture that explicitly teaches its audience that those truly "wild at heart" will not give up in pursuing their dreams and that love truly conquers all. This whole [film] is wild at heart and weird on top, and when I finally had a chance to see it in a movie theater with an exuberant audience, I finally fell in love with it, too. Me: "Did I ever tell ya that this here movie represents the symbol of my individuality, and my belief in personal freedom?" You: "Only about 50,000 times!"